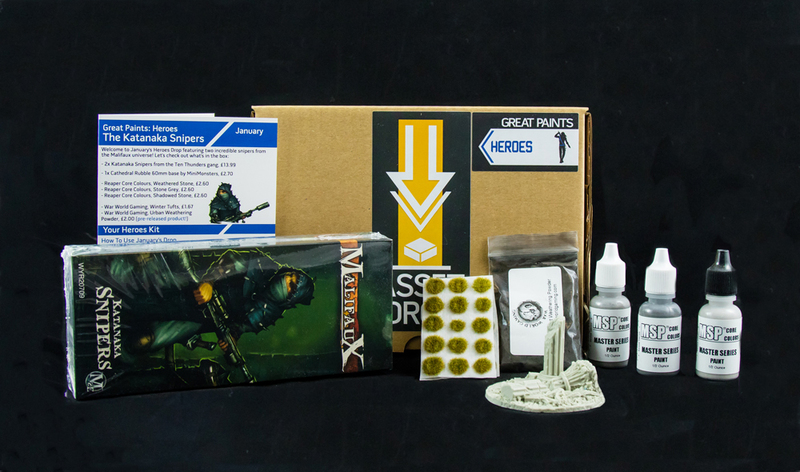 The Heroes Box is ideal for anyone who wants a new project to complete every month as a way to develop new painting skills and push yourself creatively. 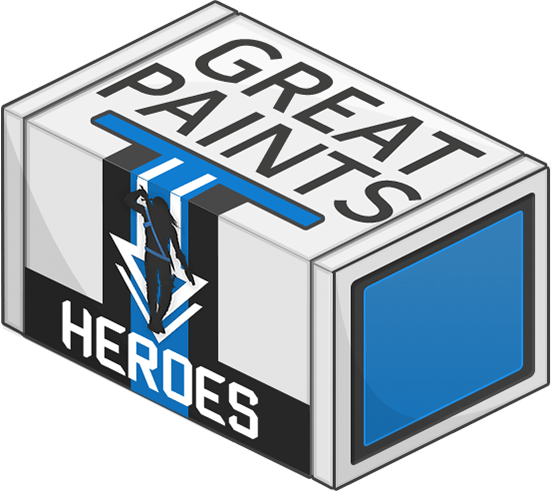 All boxes come with free painting tutorials. 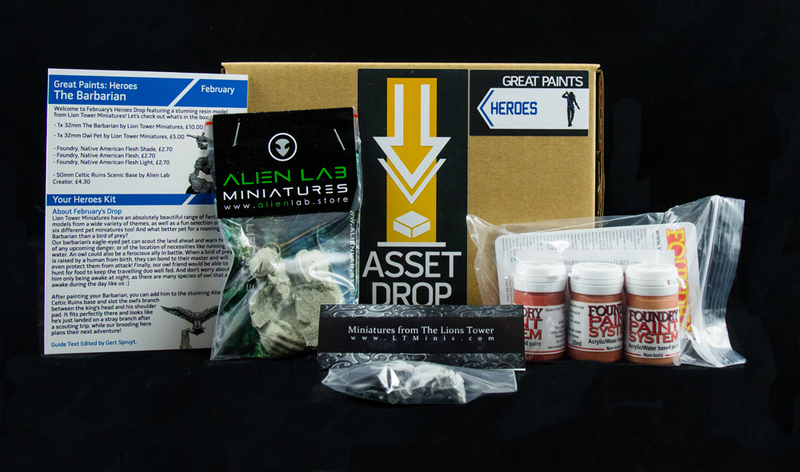 February's Drop contained a wandering Barbarian miniature by Lion Tower Miniatures accompanied by his pet Owl, a stunning 50mm scenic base by Alien Lab Creator, and a trio of Native American Flesh paints from Foundry. January's Drop featured a pair of skilled Katanaka gang snipers from Malifaux, a 60mm cathedral rubble base by MiniMonsters, a set of basing tufts and urban powder by War World, and a trio of stone paints by Reaper. 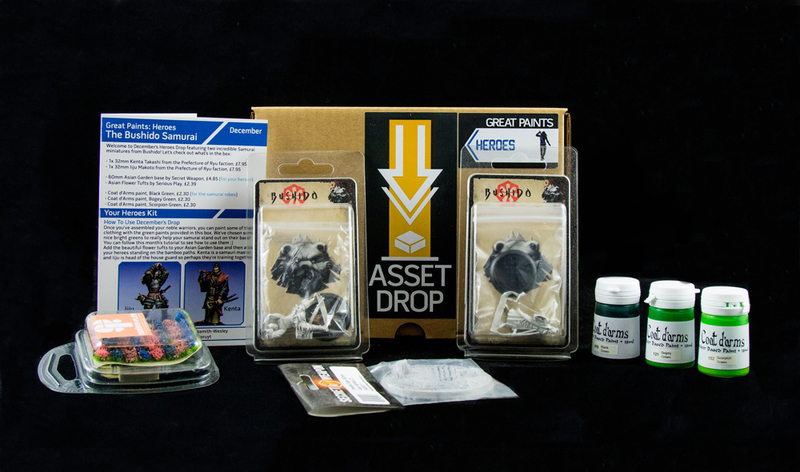 December's Drop contain a pair of noble Samurai warriors from Bushido, a 60mm Asian Garden base from Secret Weapon, a set of Asian Flower Tufts from Serious Play, and a trio of greens by Coat d'Arms. 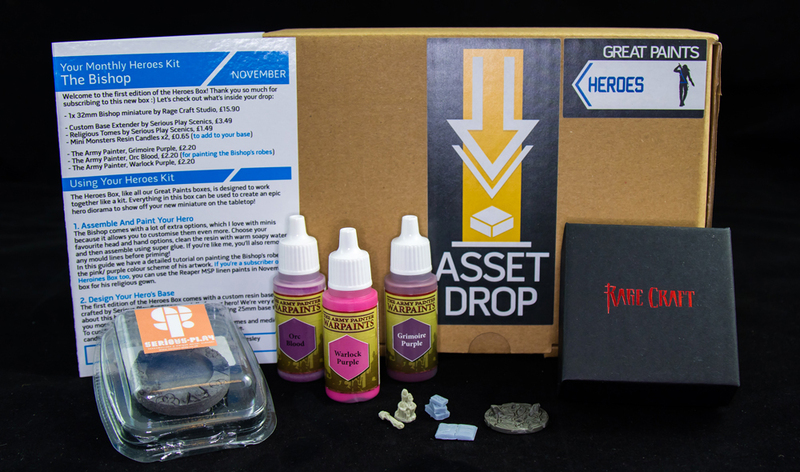 Nov's Drop contained a outstanding Bishop miniature from Rage Craft Studio, a custom base extender by Serious Play, a set of Religious Tomes & Candles for basing, and a trio of pink & purple Warpaints.